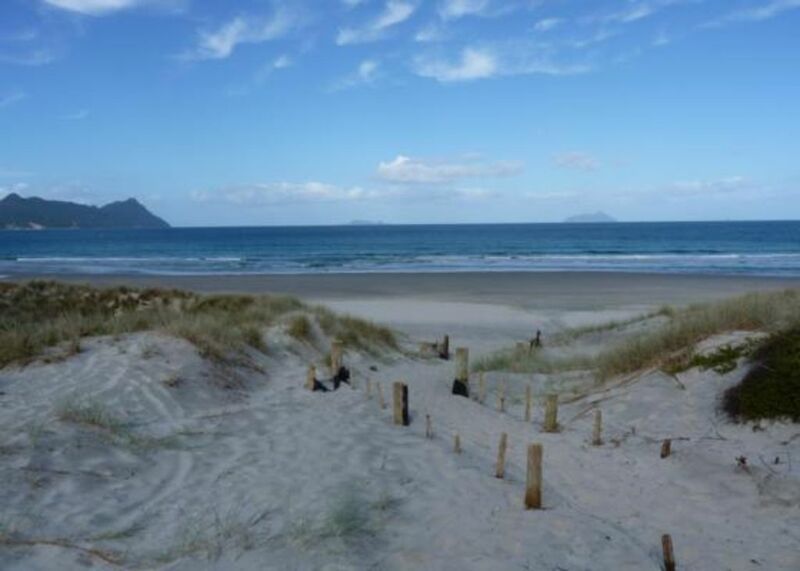 This clean and comfy family bach is just a short stroll across the reserve to the beautiful white sands and surf of Ruakaka in Bream Bay. The family can easily come and go between the bach and beach several times a day. Or enjoy a meal with the family in the private BBQ area under the pohutukawa tree in the garden... And cleaning up after dinner is no hardship with the dishwasher and lovely view of the reserve from the kitchen window. Children and teens are welcome - there's a 'Spongebob' bunk room for the young and young at heart! The section is flat with easy vehicle access and has off street parking for 3-4 vehicles. Ruakaka is only 90 minutes drive from Auckland and 20 minutes from Whangarei. Nearby attractions include the glow worms at Waipu caves (about 20 minutes drive) and the Waipu golf club is about 10 minutes drive from the bach. The bach is in a tranquil village setting and is a very peaceful place to escape every day life. The insulation, fire and heat pump provide for a warm winter escape while the kayaks, fishing rods, long lines and proximity to the beach make for a fun filled or relaxing summer holiday. The bach comfortably sleeps eight, but can accommodate up to 10 people with fold out sofa bed in lounge. Only 40m walk to the beach! We had a lovely stay at this bach. Loved that we could just walk across some grass to get to the beach. The house was clean and had everything we needed. Our dog loved the garden. We would go back next weekend if it wasn't already booked! Comfortable and clean this is a little gem. Our third stay at this lovely bach, and as always, we had a fabulous few days. The house is very clean, comfortable, and well equipped, especially now that it has wifi. Great communication with the host who is very responsive to queries. We’d love to come back again soon. house has everything you need, easy to maintain during your stay and the location is private and right next to the beach. This is our second stay and would happily go back again. Dog and kid friendly to. We absolutely love this place.